Ocean spray low sugar cranberry juice is not my preferred drink. The artificial sweetener used leaves a bad taste in my mouth. I much prefer the original. I really like this product, it gives that tart taste of cranberrys and isn’t too sweet from the sweetner. It’s a great as a mixer too. I like this low sugar cranberry as it is not so sweet. I used to add water to the Cranberry classic drink but do not have to with this one. 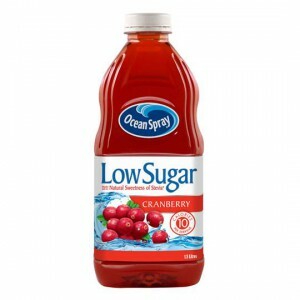 How would you rate Ocean Spray Low Sugar Cranberry Classic Juice Drink?